Update on Bishop Tebartz van Elst – a consolation prize, but not a bad one for all that. Word came this week that another bishop has “resigned” under the provisions of Canon 401, paragraph 2. This provides for resignation for “grave cause” or ill-health. Given that the latest resignee, Bishop Le Vert of Quimper in Brittany, is only 55 years old, grave cause seemed to be the catalyst here. In May last year Bishop Le Vert had been “allowed” by Pope Francis to suspend his governance of the diocese for “health reasons”. This is not normal procedure for a bishop who is ill but able likely to recover. In such a situation, normally an auxiliary bishop (if the diocese has one) or the vicar general would govern the diocese. In cases of chronic debilitating illness the bishop would normally resign sooner rather than later. In Bishop Le Vert’s case a retired bishop was parachuted in with full power of governance. And now Bishop Le Vert has jumped, clearly after a hefty push. One might reasonably ask what the health issues might have been. Nothing more than stress it seems. The bishop was not popular with a powerful faction among his clergy. Given that Bishop Le Vert is a member of the Community of St Martin, one of the few elements of the Catholic Church in France that is thriving, and which is routinely labelled “conservative” (even by those sympathetic to it), one might have suspected that theological or liturgical tensions had fractures the facade of peace. If La Croix is to be believed, the tensions were in relationships, the senior clergy unhappy that Bishop Le Vert was relying more on an entourage of advisers than on them. There is a troubling pattern emerging under this papacy. One cannot dispute the papal right to remove a bishop in extremis for the good of the Church. This would normally be for heresy, continued and grave insubordination, criminal conduct or some other grave scandal. Before this there would be quiet but firm encouragement for the bishop to resign, to remove himself before he would be removed. Some, like Bishop Le Vert, take the hint. Others, like Bishop Morris, dig in their heels, drawing out an unpleasant situation until the papal hand strikes. But in Bishop Le Vert’s case, there is no misconduct. What there is, on a little closer inspection, is a bishop who did not share his clergy’s liberal outlook on worship and doctrine, and so took his advice from those who shared his outlook and whom he thus trusted more fully. This is a fairly common practice among any new head of an organization who feels himself very much an outsider in his new position. But the clergy who previously held sway resented this immensely and did not accommodate themselves quietly to the new order until things settled down. They actively resisted their new bishop, and the vicar general and some members of the bishop’s council resigned in protest. It is for this – that the bishop and the ascendant clergy in his diocese – did not agree, that Le Vert was removed. In every respect Le Vert was orthodox in theology and, to judge by photos of him in liturgical settings, far from being an ultra-traditionalist. But the screeching of the disaffected among his senior clergy has led to his effective removal. A little glance at the state of the diocese of Quimper is revealing. In 1948, the diocese had a total population of over 738,000, with over 737,000 of them Catholics, with meant that Catholics made up 99.8% of the total population within the diocese. They were served by 1,042 diocesan priests and 52 religious priests. That meant a laity/priest ratio of 637/1. By the time statistics were gathered for 2010, not long after Le Vert was appointed, after a rise in Catholic numbers from the 1970s through the 1990s, the number of Catholics fell precipitately to 722,000, while the total population grew to almost 886,000, meaning Catholics had had fallen to 81.5% of the population, and were served by a meagre 277 diocesan priests and 27 religious priests, which saw the laity/priest ration balloon to 2,375/1. An impartial and disinterested observer would have to conclude something had gone wrong to produce such a decline. What I have not yet found is the rate of Mass attendance among the total number of Catholics, but one could safely bet it is not healthy. So Bishop Le Vert took over an flagging diocese, and seemed ready to place a firm hand on the till to restore some order and vitality (something for which the Community of St Martin is notable). Vested clerical interests were not happy with this change to their comfortable status quo, and have resisted him to the point of making his position untenable in papal eyes. It would not quite so troubling if it were not for the fact that this is fast becoming common under Pope Francis. The Bishop of Limburg (Germany), another young “conservative”, was removed after a nasty smear campaign by some of his senior clergy accusing him of financial extravagance for personal benefit. Pope Francis decided that his position, also, was untenable and forcibly removed him. Bishop Tebartz van Elst blamed his vicar general for creating the situation. Two days after hearing Bishop van Elst’s personal plea, Pope Francis removed him and appointed the agitating vicar general to administer the diocese. 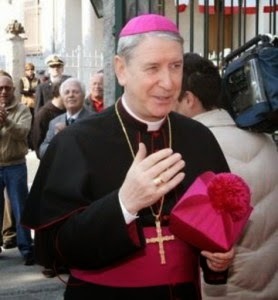 The Bishop of Albenga-Imperia (Italy), the Tradition-minded Mario Oliveri, had a coadjutor bishop imposed upon him by Pope Francis last year. 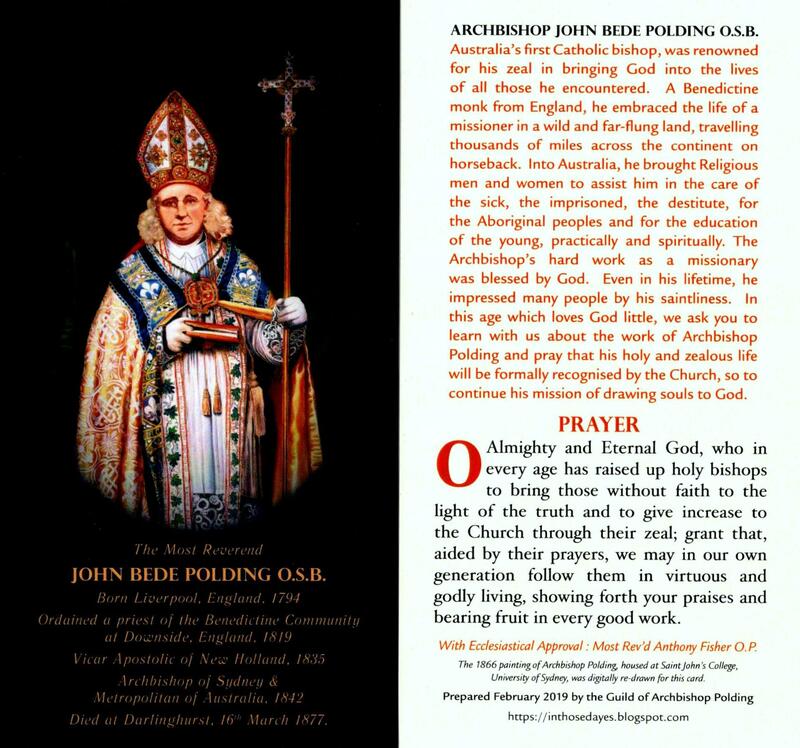 He had been castigated by some of his clergy for accepting unsuitable candidates for the priesthood into the diocese (for being traditional, his diocese was attracting vocations). He allowed external priests into the diocese who were found to be less than exemplary from a moral point of view. It is generally accepted that the bishop merely takes too positive a view of people; no one accuses him of any personal misconduct. It is this that has probably saved him from deposition, though the imposition of a coadjutor somewhat neuters him as the bishop. Yet how many other bishops of the last 50 years (till this day) have been guilty of accepting unsuitable candidates? If they were all to disciplined not many Western dioceses would be left untouched. The Bishop of Cuidad del Este (Paraguay), Rogelio Livieres Plano, a member of the “conservative” Opus Dei movement, was removed from office last year by Pope Francis. His diocese, teeming with vocations, had attracted some clergy with controversial backgrounds, including one who had been accused of sexual impropriety years before in the United States. 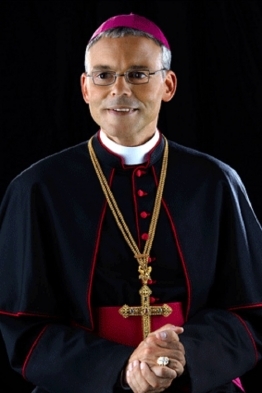 This latter priest Bishop Livieres had imprudently appointed as vicar general. 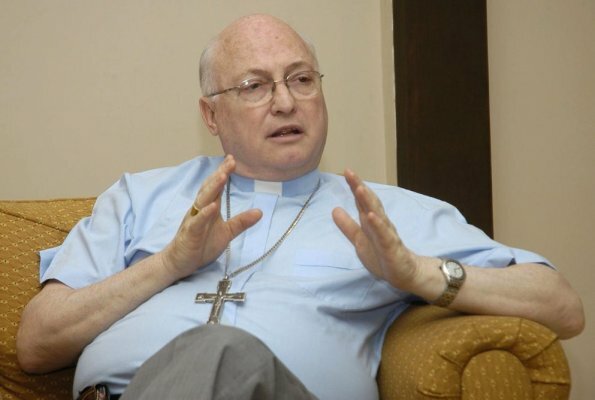 However, Bishop Livieres strongly maintains that the priest is innocent of the allegations levelled against him. Nevertheless, it was not the most sensible of appointments, and it became an Achilles heel. 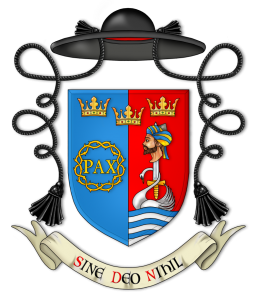 But Bishop Livieres was despised by his fellow bishops in Paraguay, not least the Archbishop of Asuncion, whom Livieres had accused of being homosexual (by which is implied activity not merely orientation). While he seems to be quite the maverick, it cannot be denied that his diocese was the healthiest in Paraguay and in fact attracting vocations from the others. His removal was centred precisely, according to the Vatican itself, on the relationship of Livieres with the other bishops of Paraguay. These three prelates are guilty of imprudence, a failing which has been shared by thousands of bishops over the last few decades till the present. A swiftly-applied reality check may well have been in order for all of them. But removal? There is something markedly incongruous in that a pope who is actively championing the rights of diocesan bishops over and against the role of the Holy See, seeking to decentralize the Church and move much more power to the provinces, invoking collegiality as the guiding principle – this same pope is ready to remove bishops who are at odds with their clergy or their fellow local bishops. If these clergy complain loud and long enough, they can get the bishop removed, no matter his right to govern the diocese according to the laws of the Church and its doctrine. All three bishops above were pilloried first not by laity, but by clergy. All three were orthodox and attracting vocations. These are the bishops removed. Some see this as a “massacre” of conservative bishops. It certainly looks that way, especially given that clearly misbehaving clergy have been kept on in plum positions by Pope Francis. What sort of collegiality is this? How does this square with Vatican II’s on the dignity of the bishop as pastor of his own diocese? How can we expect a man with clear principles, and who is prepared to act on them, not to be opposed by some, maybe even many? St Athanasius stood as a lone voice against the nearly victorious Arian heresy in the fourth century, so much so that the phrase Athanasius contra mundum (“Athanasius against the world”) was coined, and as a bishop he was in exile for over 17 years, never ceasing to work for truth. With so many clergy against him, St Athanasius would today, no doubt, be removed from his diocese by the pope. If your clerical colleagues do not like you, neither does the pope, or so it seems. What sort of vicious factionalism is this going to foster? Is personality politics now to prosper? Moreover, what should we make of the pope’s move to clarify and codify his power to remove diocesan bishops last November? Fr Ray Blake, in the wake of the pope’s pre-Christmas public dressing down of his curial officials, said that working in the curia today had become a job from hell – who would want it? Given the ease with which a diocesan bishop can be removed or impeded by clerical opposition, one might take the same view of the role of diocesan bishop. Only time-servers will find it comfortable. 30,000 in a country of 66 million. Even when insulting Mohammed (and with all the publicity that went with these stunts) they only sold 100,000. Perhaps the most effective curb on that magazine’s offensiveness will be economic. Anyway, the whole sad situation should make us think carefully about freedom and the use we make of it. 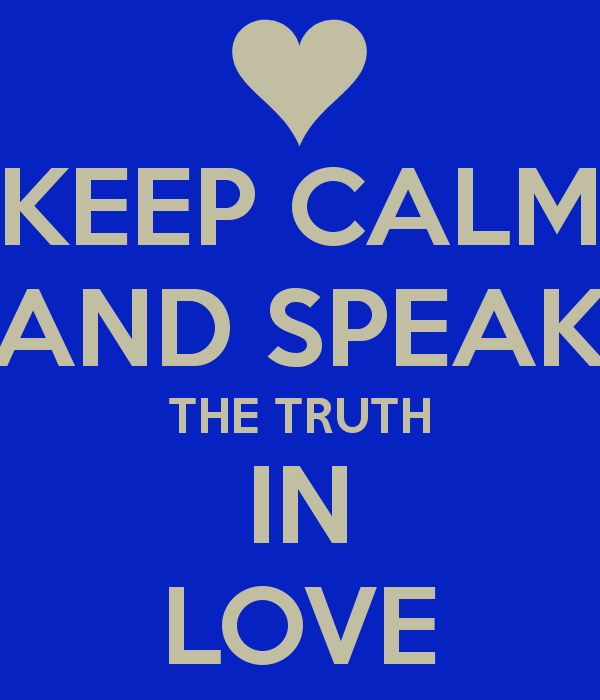 Our truest freedom is to speak the truth in charity. Let us keep that in mind when people talk of the right to free speech. And as for “je suis Charlie” I wrote a post regarding this whole freedom of speech business the day following the attacks—my thought being that freedom comes with responsibility and those in the “free” west have more or less forgotten that whole responsibility aspect. We should realize that freedom does not equate to the ability to mock, ridicule, malign, harass, bully, belittle others.—where is that whole “do unto others” concept? In the wake of the attacks, which are abhorrent, some have written in defense of the magazines “satirical” approach as being typical French—as the French have long been known to publish satirical “cartoons’ or commentaries aimed at their current form of government or politics, as this dates back pre revolution—yet I somehow don’t think that gives them a free pass to push the limits in the publication—why offend just for the mere sake of being able to do so? Oh we are in such a mess. . .
blessings Father, and thank you as always for your honest look at this world around us. . . Happy new year, Julie. Thanks for your comment and its sensible sentiments. One very good point you make is that freedom comes with responsibility, namely not to abuse freedom itself. In that sense, no freedom, even Christian freedom, is unconditional. When we fail to keep the conditions attached to freedom then, logically, we lose the right to that freedom itself. Thus we probably both agree that Charlie Hebdo, having abused freedom of speech, has not right to claim it anymore, quite apart from the separate issue of extremist Muslim absolutism. A pattern emerging, or, has already emerged? That’s the danger with our imagination when it gets some attention! Read some church history, or some Fulton Sheen, or some Frank Sheed, and restore your equilibrium. And remember – faith grows in value when it is tested. Mgr Le Vert (who actually left the Communauté Saint-Martin twenty years ago) was far from being the most conservative bishop in France. Bishops like Mgr Aillet (who actually is a member of the Communauté Saint-Martin) are far more traditional. Since Mgr Le Vert has chosen not to make extensive public comment, I suspect this case is delicate. He probably didn’t have the stamina to take it any more (Mgr Aillet has stamina for anything any liberal could throw at him). But I do get the sense that Pope Francis has encouraged a mentality of bypassing local structures (paradoxical for someone who keeps going on about decentralizing the Vatican). Discontented liberals now seem more likely to eschew local dialogue and go straight to Francis. I suspect the Vatican is simply better informed of local issues than it was in the past. I have been looking into Greek Orthodoxy for that whole time. I stopped going to Mass (if it can even be called that in my local Catholic parish any longer) and have been attending the Divine Liturgy, which has everything that Catholicism has lost along the way. It truly is divine. Lent begins on Monday at our Orthodox parish, and my wife and I are to be received into the Greek Orthodox Church at the Vigil on Great and Holy Saturday. However, I am suddenly feeling a strange reluctance to depart. It’s absolutely crazy in so many ways. Even if we were to ‘go back’ to Catholicism, there’s nowhere to ‘go back’ to. I don’t know if this is my sadness at having to go because the Catholic Church continually let us down and totally alienated our children from Christianity and left us no choice, and I feel forced out. Or whether it’s my natural tendency toward loyalty, or something else. I’m not even sure what I’m asking, Fr, but can you speak any word of comfort/insight/wisdom to me? Secondly, forgive my delay in replying to you. Somehow your post slipped off my radar. But better late than never, I hope. If you do not mind, I shall speak from the heart as much as the head. Don’t go! Deliberately and voluntarily to renounce communion with the see of St Peter is a grave step indeed. It is indeed taking your hand from the plough just as the going gets tough. Our Lord never promised that the Church would be perfect, or that it would never make mistakes (in the human order of things). What he did do was to give to St Peter and his successors the power of the keys and a responsibility to feed the sheep of the Lord’s fold. Our Lord guarantees that the Church in communion with St Peter is the locus of salvation, the privileged place of encounter with God, the conduit of His grace and the teacher of His truth. He guarantees that hell can never prevail against the church built on the Rock of Peter; he does not guarantee that hell will not try its best to prevail. A mark of our faith is to believe that God continues to honour his promise despite the human weaknesses of its members, however exalted they might be. Church history is replete with times of decay, decline, and disobedience. Yet in time God always seemed to raise up mighty men and women, so many of them now honoured as saints, who brought the Church back to its senses. The time for saints in our days of decline is near at hand. Don’t leave just as it is about to happen. Certainly, the liturgy is an ongoing problem. It can be hard in many places to find a church where worship is directed towards God and not the community itself. So may I ask – have you tried the Eastern Catholic Churches? These mostly preserve their eastern liturgies and traditions. Moving from one rite to another is not really encouraged, but in this challenging times it may be necessary for some. And a Catholic church is a Catholic church, be it of an eastern or a western rite. So before you make a move (an unwise one, to me) please try an Eastern rite Catholic church, or seek out a western Catholic church where things are done better and more faithfully. I have no idea where you are but I am sure there must be one of these options near you. I would argue that it is your duty to seek out these legitimate alternatives. Could you perhaps make this a Lenten task? Thank you for your impassioned response. I really do appreciate your own fidelity as there is definitely virtue in both loyalty and longsuffering! I have tried Eastern Catholicism and found it quite a disturbing experience, as I now know that Catholicism in the East is dire too. The most surprising thing I discovered in Eastern Catholicism was the number of utterly Western liberals who have begun turning East based on purely secular/Western reasoning. They go East because they ‘believe in a married Priesthood’ and because they can talk and move around during Liturgy, and because they can turn up as late as they like! It’s total madness, and was something I could never had imagined! They ruin the Western Liturgy, and then go and attempt to corrupt the East too! You couldn’t make it up! I guess that it’s a symptom of the liberal desire for novelty, combined with their absolute ignorance. I’m afraid that I just don’t believe in the same narrative concerning authority in the Church any longer. How can I? I think that the Catholic Church is headed down the path of further schism (this has really come to a head now under Francis), and has been doing so for my entire lifetime. I have witnessed the growing gulf between traditionalists and liberals for years, and I can no longer tell myself that I hold the same faith as the majority of modern ‘Catholics’ I come across. I have tried to talk myself into not abandoning the Church to those who are perverting it, and persecuting those who try to hold the Church to it’s own teachings, but, to be honest, I think I have just accepted now that the RCC is paying the price for wandering from the Apostolic Faith passed on from the Fathers, in favour of a path of gradual novelty which has led to this point. I don’t want that to be true, but when it’s directly in your face for your entire life there comes a time when you just can’t find any more excuses or explanations to dismiss the patently obvious any longer. Over the past 25 years my wife, kids and I have lived in seven different dioceses, and yet we have never once lived in a parish that was anywhere even close to half decent. Error has been taught and practiced, and open dissent espoused in every single one of them. We just really don’t have any choice, do we? Remaining with the RCC at this time would be a grave decision on balance. Our children are all lapsed, which I really don’t think would have happened had we made this move sooner. I’m sorry if this just sounds like a rebuttal. I really do appreciate your response, and have respect for your position. I guess you have helped me to clarify that we really do have to go, and there is nothing really left for us to hang onto. Thank you so much for responding, and at least making an effort. My life as a Catholic has been one long experience of being treated like a fascist for taking the Catechism seriously; at least the last word I’ve had from a Catholic cleric is an orthodox one! Thank you. I read your response to Rod with interest., as, as you may remember, Rod’s position and my own are almost identical. Can I ask, Fr, if you celebrate Mass versus populum? The Church does make it very, very hard for people to stay, this is very true. I absolutely relate to what you’re saying. I also agree with what Fr. Hugh is saying, although, if I correctly understand what Darren is getting at with his question to Fr. Hugh, I do see his point. Re-orienting the Mass, as Fr. Hugh acknowledges, is vital, but this business of just treating this as some form of internal disposition alone is utterly ridiculous. If we are going to be ‘directed’ as Fr. Hugh puts it, toward God and not the community, then this has to be literally, physically done. There is far, far too much ‘talk’ and not enough embodiment. If the Priest just talks about ‘direction’ whilst still looking inward at the community, versus populum, it does feel a little like adding insult to injury. That being said, let me add my voice to Fr. Hugh’s: STAY, and add your voice to the many of us calling for a return to orthodoxy within Catholicism. You’re not alone. STAY. God bless you and guide you. I didn’t go through with it. It’s taken so much time and effort and resolve, and yet, at the last second, for no good, logical reason I can think of, I had to remain in the Catholic Church. Well, it seems to me that you have not left home, as it were. The hand of God is in this. Trust in him. Sometimes human logic is just plain inadequate.